It's December, the last month of the year, which from an astrological point of view, blows the big question: "What to expect from 2018?". 2017 is going out and since the year is changing, it's only natural to make plans and expect that our lives will also take a completely different turn. The most important change we will see this year is the major shift from Uranus and Saturn leaving the fiery and impulsive signs of Aries and Sagittarius, and moving into the grounded earth signs of Taurus and Capricorn. This will shift your focus to material concerns, and depending on what's going on in your life at the moment, this could be good news or not. Saturn is the planet of hard work and this major transition will confront you with your own potential and limitations. Saturn is also the planet of maturity and time, and it can help you get what you want as long as you’re willing to change for the better. Continue reading to find out what to expect in 2018, according to astrology. The sun will enter the sign of Aries at the end of March, which means that this will be the ideal time to take inspired action. So, if you felt like you've been struggling with the unknown over the past year, in 2018, that is surely going to change. The Sun will enter your sign in the spring, and it will give you some much-needed clarity, motivation, and vision. Fear and anxiety of the unknown will be your undoing if you let it, so focus on your journey and don't worry so much about the destination. The planet of love and pleasure, Venus, enters the sign of Virgo in July and this transition will improve your relationships with others. In 2018 you'll be given an opportunity to find out who is really there for you and appreciate the people that have always been there to help you without asking anything in return. The potential for your growth and expansion is huge in 2018, but this will take stepping into unknown territory and exploring. This year you'll need to understand that saying yes to yourself requires you to say no to others from time to time. The Sun will enter the sign of Gemini from May until June, which means that this is the perfect time to get your business started. In early summer, your natural attributes will be at their strongest and your ability to connect with people will be high, which would make it an ideal time to embark on successful new business ventures. As long as you stay on track and focus only on your goals, this year will be yours. In the month of July, there will be a trine between the Moon, the Sun, and your zodiac sign. This means that July is the perfect time to focus more on your home and family as your relationships will be pretty intense. Your love life, as well as your home life, will undergo some big changes in 2018, but don't worry because most of them are going to be for the best. How you take responsibility for yourself is very important this year, so get ready to work harder. Cultivate patience and set yourself up for success by developing a strategy and coming up with a plan. There will be a full moon in the sign of Leo in June, meaning it's time to shed the heaviness that's been holding you back in 2017. Whether it's a breakup or an unpredicted career pivot that you haven't been able to shake over the past year, the full moon in July will inspire you to find your inner power and you'll be willing to work on things thoroughly. 2018 will be a year that is going to test your patience, but you'll be much happier if you just slow down and take better care of yourself. At the beginning of September, the Moon will touch all ten planets in feminine zodiac signs, which means that your intuition will skyrocket. If you've lost touch with your internal compass over the past year or you're afraid that you aren't really on the right path, this year you will reconnect with your inner self and receive guidance. Whether you need to let go of some things or adjust the load you've been carrying on for so long, in 2018 you will finally overcome the rough patch you've been in. The Moon will trine in the sign of Libra in February, which signals a time that your life will radically change for the best. Jupiter was transiting through your sign last year, but you'll start to see the seeds you've planted take root and start blossom in 2018. Love is the answer to everything this year, Libra. If you don't have a healthy relationship with yourself, you'll feel upset and confused, so recommit to yourself and try to maintain a healthy body and mind. You will have to make some important life choices this year, so if you don't have the confidence, it will be harder to make the right choices. The Sun will move into your sign in October, which means that you'll round out the end of the year with an extra hit of luck. The planet of Jupiter is transiting through your sign of Scorpio for the majority of 2018, making it the best year to see breakthroughs in every part of your life. By October, you'll finally see the fruit of your own hard work throughout the year. In 2018, you need to find balance in your life and that doesn't mean that you need to be optimistic all the time, but watch out for being too negative. 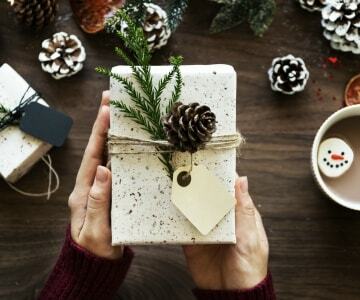 Jupiter, the planet of luck and good fortune, and Mars, the planet of action, energy, and desire, will conjunct in January to give you good luck. 2018 will be a big year for you, Sagittarius because there's a lot of good changes on the horizon for you. This year, instead of responding impulsively, you need to strive to respond in ways that reflect the person you want to be. Even though this year your personal growth isn't guaranteed, if you try hard enough, you'll surely emerge with a more happy relationship with yourself. Saturn and Mars will join together in your driven and ambitious sign of Capricorn in April. This is the time when you'll regain a sense of focus and get real about all the changes that need to happen in your life. If you've been chasing some impossible dreams, this year you will have to accept that they were just part of the journey to getting you here. Also, don't confuse how you feel with how others perceive you because, at the end, you will end up building a wall between yourself and others. You hate being vulnerable, but you need to try and share your feelings with the people that you trust, even if you feel awkward about it. The Sun will move into the sign of Aquarius in mid-January. This means that January is the perfect time to make new goals and set your sights even higher than before, for the year ahead. 2018 will be a year of big change for you, so pay attention to your relationship to the unknown. Just because you don't know what will happen next and you're not in control all the time, doesn't mean that things will go badly for you. Lower your expectations and focus on the positive things in your life. The full Moon will be in your sign at the end of August, which will be a period of bliss for you, Pisces. You'll be extremely creative, romantic, and calm, and you need to take full advantage of that and start new projects or take the leap in love. Usually, you can't say no, but this year is a great time to learn to be all right with disappointing some people. Expect this year to bring you lots of opportunities to mature emotionally, so don't stay attached to the past and be ready to take your relationship with yourself to the next level. 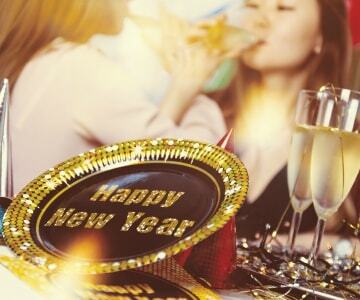 How Would Each Zodiac Sign Like to Spend New Year's Eve? While some of us like to party, others prefer to take it easy and spend NYE at home. 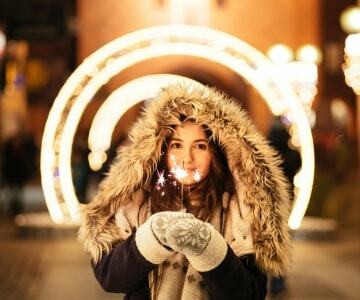 Take a look at how would each zodiac sign like to spend New Year's Eve.